We are engaged in offering high quality Currency Rate LED Display Boards to our customers in Indian Territory. 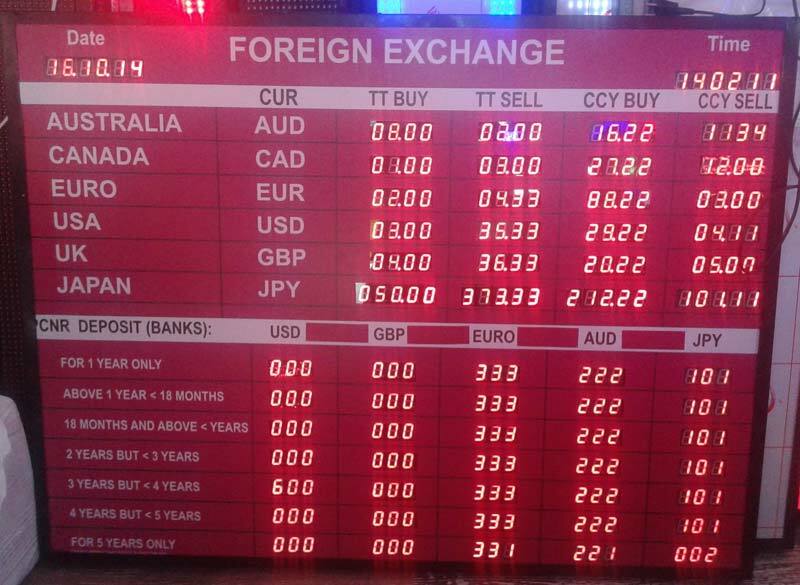 We are trusted Manufacturer & Supplier of Currency Rate LED Display Boards from Delhi, India. Made-up using high-class materials, our Display Boards are highly durable. We are capable of handling bulk orders of Display Boards and ensure prompt deliveries.